Built strong for tough applications. Ideal for use when a dock is not available. Dimensions are overall width including curbs. Subtract 8" for usable width. More sizes available, contact us for details. 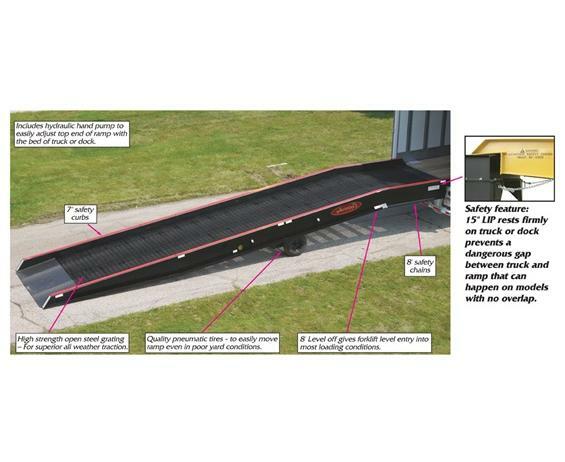 Durable ramps make loading and unloading trucks easy. Open steel grating ensures safe use in all weather conditions. Engineered for maximum efficiency. 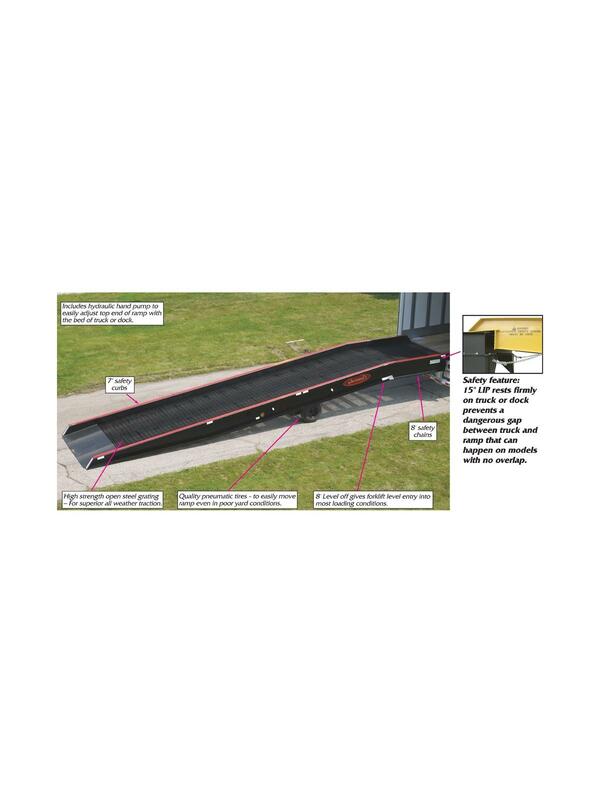 Includes hydraulic hand pump to easily adjust top end of ramp with the bed of truck or dock. Standard paint color is Black. Also available in Yellow for an extra charge. FOB Shipping Point. High strength open steel grating - for superior all weather traction. Quality pneumatic tires - to easily move ramp even in poor yard conditions. 8' Level off - gives forklift level entry into most loading conditions. Safety feature: 15" LIP rests firmly on truck or dock prevents a dangerous gap between truck and ramp that can happen on models with no overlap. 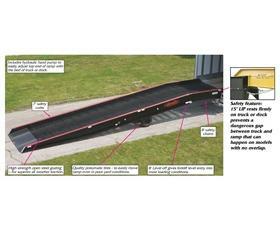 Aluminum ramps available, contact us for more information.